I just downloaded the Demo version of LRT4. I have several HDR sequences that were processed in Photomatix. They are TIFF sequences. LTR4 does not recognize them, even after I go through the import sequence. The import sequence just moves the files to a new location and leaves the format intact. Still not recognized. Only RAW or JPEG files seem to be recognized. How do I get TIFF files into LRT4? I am running a Mac with OS 10.10.4 if that matters. 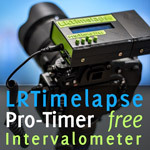 TIFF is not supported by LRTimelapse. But you can use the "Convert to DNG" feature in Lightroom to convert those sequences to DNG and then process them with LRTimelapse. This post was last modified: 2019-02-06, 04:58 by Tehnicni. I can't found any tif 2 dng converter. My goal is to grab 7 x 1EV bracketing image of sunset and merge it to one 32bit HDR file with Photomatix. In batch mode Photomatrix export only in .hdr and .exr file. Tif is option only in sigle operation. Is there any other good solution (another program) or converter to inport true HDR picture. The only way to convert tiff to dng that I know of is with Lightroom. If Lightroom can manage to handle those tiffs, you use the "Convert to DNG" feature to convert them to DNG. 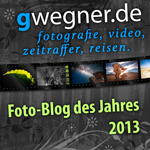 The other way to get "true" HDR DNGs would be to use the Photo Merge feature in Lightroom (instead of Photomatix). Unfortunately I know of no way of doing this in a batch process. This post was last modified: 2019-02-07, 00:57 by Tehnicni. I've done tons of perfect sunset and sunrise timelapses, als without using HDR or any Bracketing. If you don't overexpose while shooting and use the right technique, you should be able to make perfect holy grails without the hassle of HDR. 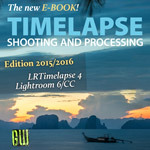 Search this forum, I've explained many times why HDR timelapse is not a good idea i.m.h.o.